So… in the past week, I’ve been asked for advice on Bitcoin by my brother-in-law, my local realtor, and close friends from as far away as Texas. None of them cared to learn what it actually is. Or how it works. They just wanted to understand why suddenly so many folks they know are trying to buy Bitcoin hand over fist. And, of course, should they buy in now, too? If you (or people you care about) have similar questions, this report is for you. Remember the scene from the movie Avatar, where the main character first explores the alien world of Pandora? I found that scene astonishing and beautiful. He's encountering an entirely new and completely foreign ecosystem. Every element is fascinating and wondrous, even the dangerous elements -- yet it all still follows understandable rules. Everything is involved in either gathering sunlight or eating something else that had. Every niche is filled. Every organism has its own strategy: some light up, some fly, some run, some crawl. As entirely alien as everything is, if you understand the basics of how organisms filled their niches on Earth, you have a great starting point for understanding of the rules of life on Pandora. Similarly, a great way to begin to understand the new world opened up by Bitcoin (and the other cryptocurrencies) is to realize that it's an ecosystem that, at its heart, maps neatly into the universe you already understand. A few examples: payments, identity, contracts, verification, and record keeping (ledgers). As with any ecosystem in nature, a new organism will survive and flourish if and only if it's more efficient and effective than the prior model. For example, nothing has displaced sharks in the past 425 million years because they're extremely efficient in their niche. To displace them, a new ocean predator would have to come along that does what they do faster, better, and (energetically) cheaper. So the operative questions we need to keep in mind when looking at the brave new world of digital currencies are: What problem(s) are they solving?, and, Are their solutions faster, better, and/or cheaper? These are critical questions to answer. When a new technology is first introduced, all manner of fanciful thinking can cloud people’s better judgment with dreams of easy riches. Think back to 1999: as long as “dot com” was added to the end of a business' name, it could raise abundant funds to pursue all manner of impractical ideas. How well did that work out? Just as Pets.com, Webvan.com and eToys.com. Investors would have benefited from demanding clear answers to these basic questions of these companies before shoveling money into all the dot-com companies that eventually went bust. It would have prevented a lot of perfectly good capital from getting vaporized. Over the years, Peak Prosperity has presented a number podcasts and articles explaining Bitcoin and the digital currencies. We interviewed with the chief Bitcoin architect in 2013, Gavin Andresen, and have run several lengthy reports on understanding the cryptocurrency boom. These previous works are worth taking the time to read/listen to if you're looking to deepen your understanding of crypto technology and its value proposition. Let's say a mere 1/10th of 1% of total global financial assets migrates into bitcoin. That equates to a price of $17,000 per bitcoin. That’s quite a rise from its current price of $580. This is pure speculation, of course; some new scandal could emerge tomorrow that might cut bitcoin’s value in half. And as bitcoin’s stability and valuation increase, the potential for a self-reinforcing feedback loop increases: as bitcoin’s value rises, it attracts more capital, which pushes prices higher, and so on. That was a very bold call to make. But, just 12 months later, Bitcoin is now currently trading at Charles' projected $17,000 target. A staggering amount has happened since we started following this space in 2013. To assess what happens from here, we now need to broaden our understanding of this vast new ecosystem -- with all its new entrants -- that is evolving so rapidly. Digital currencies are representations of money that only exist in digital form. We might consider airline miles a form of digital currency. You cannot own any physical airline miles, only digital ones. But by controlling them in your account you can ‘spend’ or redeem them for a wide variety of valuable things. Digital currencies tend to be centralized, meaning that their main record keeping (ledger) functions are housed in a given entity. For example, your frequent flier miles account would be found in a database at American Airlines if that’s an airline of choice for you. Cryptocurrencies, like Bitcoin, are a type of digital currency. Cryptocurrencies rely upon algorithms and protocols to reliably transmit information (such as a given quantity of Bitcoin) from party A to party B. Two features of the transmission method involve independent verification of the transaction and having a distributed ledger, meaning there’s no one central spot (like a bank repository or single database) that keeps the records. Records are kept by all of the participants in the ecosystem (more on this later) and because of this, the “crypto” portion does not automatically imply ‘anonymity’ as many mistakenly assume. Because the records of cryptocurrency transactions are held by everyone (instead of just someone), they are said to be decentralized. Other digital assets are springing up all over the place. They are designed to solve or address very specific business needs and problems such as contracts, personal identity or shared ledgers. They are not currencies per se, nor are they trying to be -- although they may issue coins as a means of allowing ownership of a part of the network, or funding the start-up phase of the underlying company. There's a real need for these kind of 'better ways of doing things'. We shouldn't need another Equifax breach or contested presidential election to understand the importance of a thoroughly trustworthy and secure digital identity solution. Bitcoin and its digital brethren represent a very complicated world of exciting new software developments that promise to transform some of our most very basic societal processes and practices including money itself, contracts, identity, validation and reconciliation, and ledgers. Taken wholistically, this technical revolution is a very very big deal. Just remember we are in the extremely early days. The landscape, and the winners and losers, will almost assuredly look very different a year from now. So, What Is This 'Blockchain' Thing? Bitcoin rests upon a specific technology called the blockchain. Despite the tangibility implied by its name (block and chain), its really just software. The person or people who created the bitcoin system under the pseudonym Satoshi Nakamoto solved a problem central to any currency —preventing counterfeiting — and did it without relying on a government’s authority. 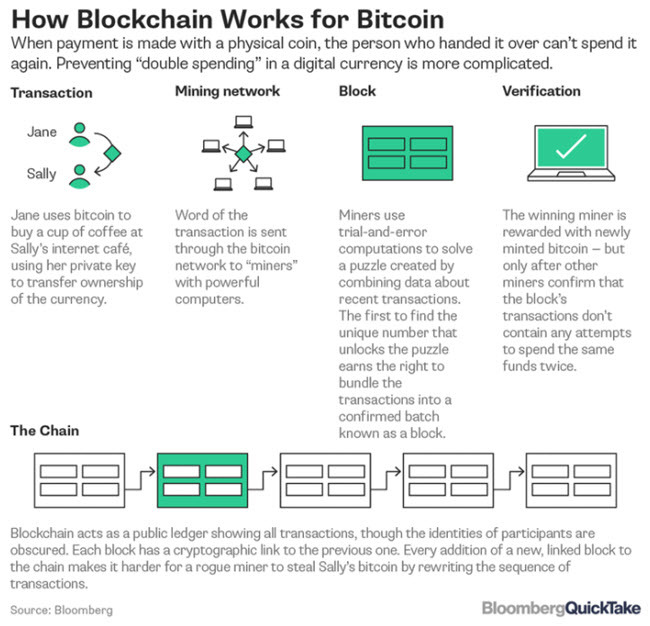 The software also solved one specific hurdle for digital money — how to stop users from spending the same unit of currency twice. The breakthrough idea was blockchain, a publicly visible, anonymous online ledger that records every single bitcoin transaction. It’s maintained by a network of bitcoin “miners” whose computers perform the calculations that validate each transaction, preventing double-spending. The miners earn a reward of newly issued bitcoin. The pace of creation is limited, and no more than 21 million will ever be issued. Bitcoin does several things very well, and gets them right. First, it assures that there’s no chance of a Bitcoin being spent twice. That solves the trust angle. Second, it provides incentive to miners by rewarding them with Bitcoin. This creates a free and eager army of people and entities to do the computationally (and energy) intensive work of confirming blocks of transactions. But nothing is perfect. Something that Bitcoin does entirely too well is consuming energy. By design. it requires a hefty amount of computational processing to “mine” and validate a block for the chain. 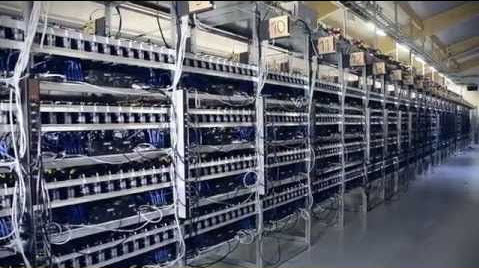 A Bitcoin mining operation is typically an industrial operation. If you’ve ever noticed how hot your computer gets, that’s largely due to the single central processor unit (CPU) inside it -- often a 2” x 2” chip that forms the core of your computer. China is a major mining center with huge operations powered by nearby hydroelectric dams to get the best electricity rates. 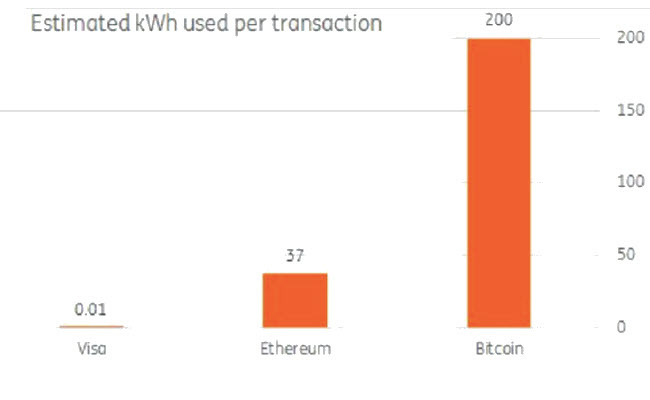 In fact, it’s been calculated that a single bitcoin transaction now uses up as much electricity as a home might use in a month. Further, the complex math puzzles solved by Bitcoin miners are designed to become more complicated as more computers join the cryptocurrency’s network. Which means even more power will be consumed in the future as/if Bitcoin grows even larger. One estimate calculates that at its current trajectory Bitcoin is on track to consume 100% of the world’s electricity production by 2020. Clearly that won’t happen; but it illustrates a potent limitation on just how big Bitcoin could possibly get. The other problem here is that if such vast amounts of electricity and computing power are required to run Bitcoin when it’s processing relatively few transactions, it cannot possibly be a viable candidate as a global currency (as some have suggested) where billions of individual transactions are conducted each day, with tens of trillions of dollars of notional value being transmitted. Bitcoin only conducts around 400,000 transactions each day worth roughly $3.5 billion. For Bitcoin to become the world currency, it would require more energy than exists on the planet today. And the world would fry itself in the resultant waste heat trying to get there. So that clearly won’t happen. So now that we understand how Bitcoin functions I am ready to make this claim: Bitcoin itself does not hold any value. The value in bitcoin is provided by the miners. No miners = no Bitcoin value. The army of Bitcoin miners require a huge amount of electricity and computing capital investment to run. As long as the costs of running the Bitcoin miners is lower than the value received, then it should persist. But as soon as the puzzle-solving becomes too hard, meaning too few Bitcoin rewards are granted per solved block (currently at 12.5 Bitcoin per block) to justify the expense, then the miners will start shutting down. It's simple cost/benefit math. If/once that happens, we’ll begin to see blocks take longer and longer to solve. This will extend and stretch out the time to process a transaction and reduce the attractiveness of Bitcoin to merchants and holders alike. The only thing that will keep this all working is if Bitcoin keeps increasing in value and if electricity costs do not rise faster than the returns from Bitcoin mining. So my conclusion here is that a Bitcoin itself has no value. A Bitcoin and an intact and functioning mining operation has value. So to invest in Bitcoin, you should really be familiar with the state of Bitcoin mining, and what sorts of challenges and risks it might face. For anyone interested in getting better grounded in this exciting and transformative world of digital assets such as Bitcoin, Ethereum, and SelfKey, Peak Prosperity is hosting a webinar on the topic with our resident digital assets expert, Mark Rees, this coming Sunday January 7th at Noon EST. In addition to the promise of this new ecosystem, we'll also warn folks of its risks -- and we see a big one with of the recent crypto darlings: Ripple (coin trade symbol = XRP). XRP is on an epic bull run. It's up over 1,000% in just the last month alone, and 30,000% in 2017. It now has a market capitalization of over $120 billion and is now the #2 coin after Bitcoin in market cap. It’s fair to say that practically nobody who is speculating in XRP has the slightest clue about what it is, what problems it is solving, or even how many there are in circulation. Complicating the story is that Ripple is a company offering a new payment platform to banks and financial services companies, while XRP is a coin they’ve also offered. The platform is called xCurrent and it’s really a glorified messaging platform. In terms of interbank payments, many people mention Ripple as a promising way to transfer money between banks. Over the last 30 days it processed two billion dollars (as of this writing) worth of interbank and interpersonal transactions — about 40 seconds’ worth of volume on the SWIFT interbank network — after three years of being available to banks to trade 90% of the world’s high-volume currencies. This is like the proportion of US GDP comprised by toothpick sales. Why haven’t banks preferred this new technology? The answer is thatsetting up a Ripple Gateway isn’t actually much different than using the existing corresponding-account system — except that a lost password or security token can lead to much larger and more instant actual losses — which, as a reminder, has happened to more leading bitcoin exchanges than have managed to avoid it. The same features that make the banking system attractive to end users also make it attractive to banks. They already have ledgers, and don’t need to distribute them, anonymize them, encrypt them, publish them, and make them irreversible. The associated coin, XRP, has no relationship to the platform. Unlike Bitcoin, XRP does not come into being as a valuable mining operation is performed, they were simply coded into existence by Ripple. How many and where are they? Many investors new to the cryptocurrency space might not be aware of where all the XRP actually exist. Unlike bitcoin and many other cryptocurrencies, XRP isn't created on a particular timeline through mining – or the act of securing decentralized networks. Instead, the 100 billion XRPs (the cryptocurrency's coded limit) are already available, with most under the control of Ripple itself. 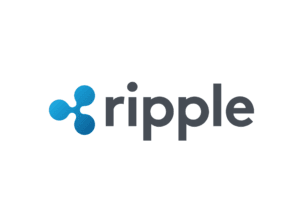 Ripple currently controls about 61 billion XRP, although in May (where the price ranged from 5 cents to 41 cents) the company announced it would move to lock up 55 billion XRP in escrow, to be released at a rate of 1 billion a month for at least four and a half years. So there are 49 billion (with a “b”) XRP coins out there, with another 5 billion for ready use by the company and another 1 billion per month ready to hit the streets. Contrast that with around 16.5 million (with an “m”) Bitcoin out there, and a coded maximum of 21 million once they are all mined. In other words, there are 3,000 times as many XRP coins out there as Bitcoin, and XRP coins have no mining function attached to them! It’s entirely unclear what their value proposition is here. But people are afraid of missing out (FOMO) and so they are piling into XRP without any clear understanding of the value proposition. They see XRP going up in price and they want in. In other words, it’s bubble time. According to people familiar with the space, including the digital asset expert who will be providing the insights at our cryptocurrency webinar, XRP is a useless and therefore worthless coin. Digital assets are exploding. And they promise to transform the way the world works. Of course, there will be many twists and turns along the way. There will be big winners and big losers. If you're interested in potentially putting some of your investment capital into this space, you deserve to be as well educated as you can be. Given the massive wall of liquidity that the central banks have unleashed, and the increasingly cumbersome and intrusive banking regulations nations have passed, it’s entirely appropriate for people to seek ways to store their wealth outside of today's grotesquely-mismanaged fiat money system. However, these new digital technologies are not easy to understand. Remember: the essence of being a good investor is understanding your investments intimately. It might indeed make sense to simply put a portion, say 5%, of your investable wealth into digital assets. Just make sure whatever amount you invest goes into a carefully selected portfolio -- don't just select willy-nilly from the exploding variety that are out there. As with any exciting new technology, what we currently have is a rush into the space by hordes of entrants, many of them unsophisticated and simply hoping for a quick buck. That works for a precious few; most simply get burned. Such is the way of bubbles. People rush in; most get trapped. But that shouldn’t dissuade anyone who is willing to do the work, develop an understanding of the space and its key players, and determine for themselves the answer to these questions: What problem(s) is (are) being solved?, and, Does this new technology solve things faster, better and/or cheaper? Click here to register for PeakProsperity.com's Bitcoin/Cryptocurrency webinar on Sunday Jan 7th at noon EST.